On Friday, Tata Steel emerged as a successful bidder to take over assets of the debt-ridden Bhushan Steel Ltd. Tata Steel offered more than Rs 350 billion ($5.4 billion) to lenders of Bhushan Steel & Power to take over the bankrupt steelmaker, a source with direct knowledge of the deal said. The Committee of Creditors (CoC) of Bhushan Steel declared Tata Group’s steel business as the successful resolution bidder, subject to obtaining necessary regulatory approvals, Tata Steel said in a disclosure with the bourses. In next five years, Tata Steel is planning to increase the capacity to 26 million tonnes. They recently commissioned a greenfield steel plant in Odisha. Moreover, Bhushan Steel is planning to help Tata Steel overtake JSW Steel to become the country’s top steel producer. Renaissance Steel India, Tata Steel's bidder for Electrosteel Steel’s Ltd — has filed a petition with the Kolkata tribunal claiming that Tata Steel was ineligible as a bidder under the insolvency and bankruptcy code, on account of several criminal cases against the firm in the UK. Tata Steel has accepted the Letter of Intent for Bhushan Steel, which owes about Rs 44,000 crore to a consortium of lenders. They offered upfront cash of over Rs 34,800 crore to creditors along with Rs 1,200 crore to operational creditors. Bhushan Steel has emerged as one of the biggest producers of cold-rolled steel which is used in making cars and consumer goods such as refrigerators and washing machines as their annual steelmaking capacity is 5.6 million tonnes. 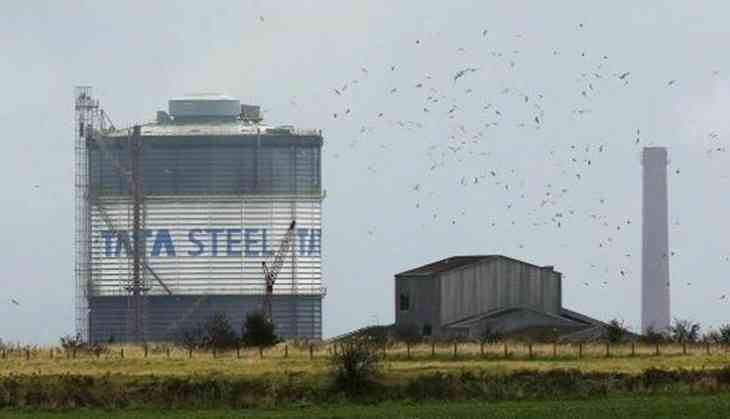 Shares in Tata Steel closed 2.5 per cent down on Friday in a Mumbai market that fell by 1.2 per cent.